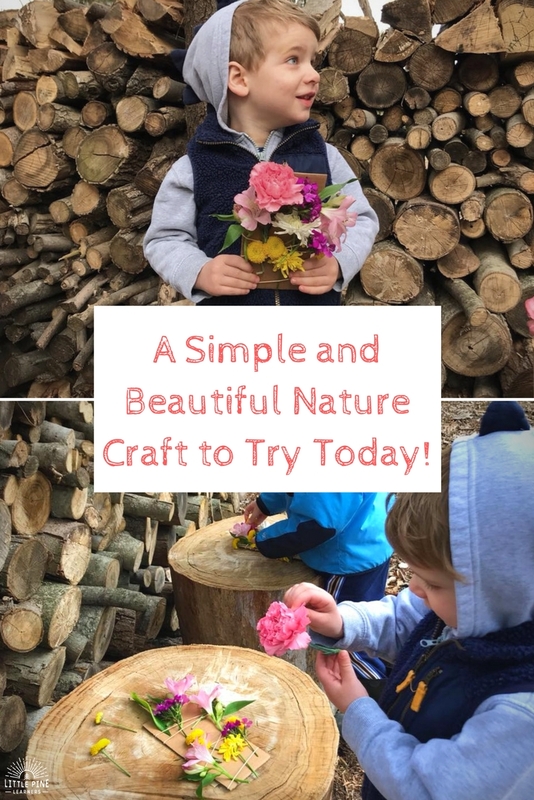 A Simple and Beautiful Nature Craft to Try Today! 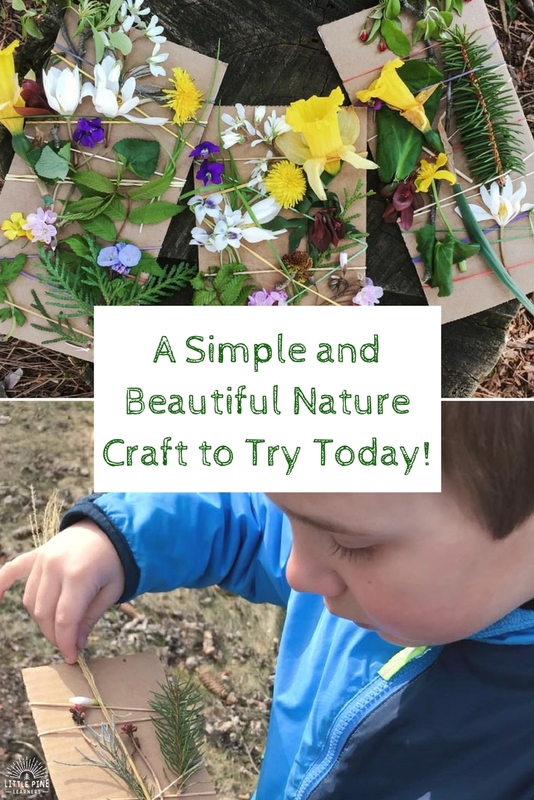 Try this simple and beautiful nature weaving craft the next time you go for a walk in your backyard. They are so fun to create and the results are gorgeous every time! I also share an alternative idea if you don’t have access to a variety of collectable nature near you. Spring is finally in the air in Wisconsin! We are loving the beautiful spring flowers and the promise of warmer weather. 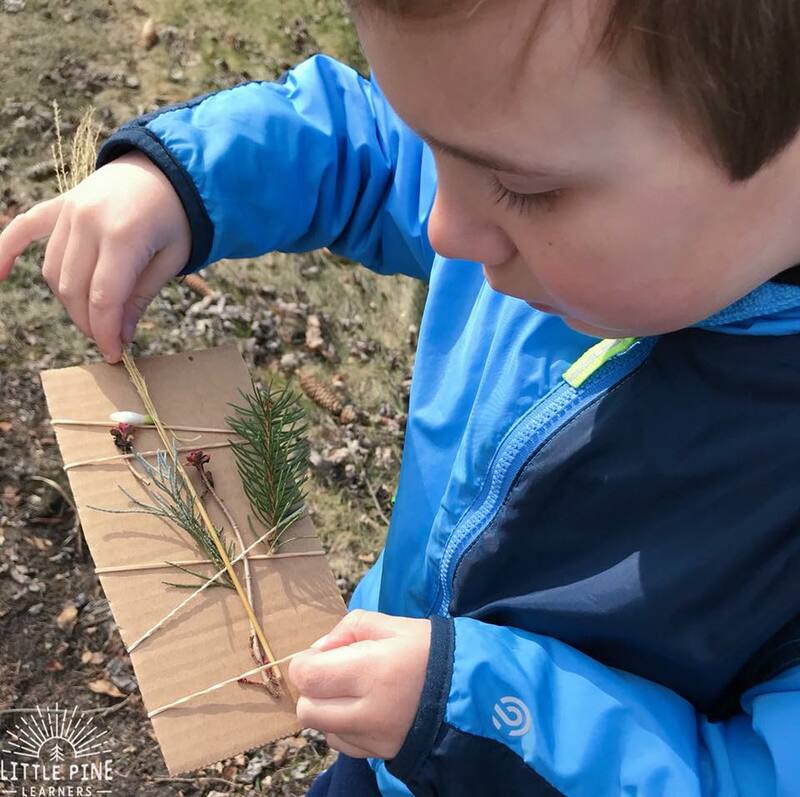 This time of year, we look forward to creating these wonderful nature collages. 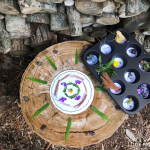 If you give this activity a try, I promise it will become a cherished springtime tradition for your little nature lovers as well! 1. Cut cardboard into rectangular pieces that are about 4in X 9in. Feel free to experiment with different sizes and shapes of cardboard. 2. My boys put 5 rubber bands around the cardboard. This is a great way to work on fine motor skills! It’s okay if the rubber bands overlap, it doesn’t hinder the weaving process. 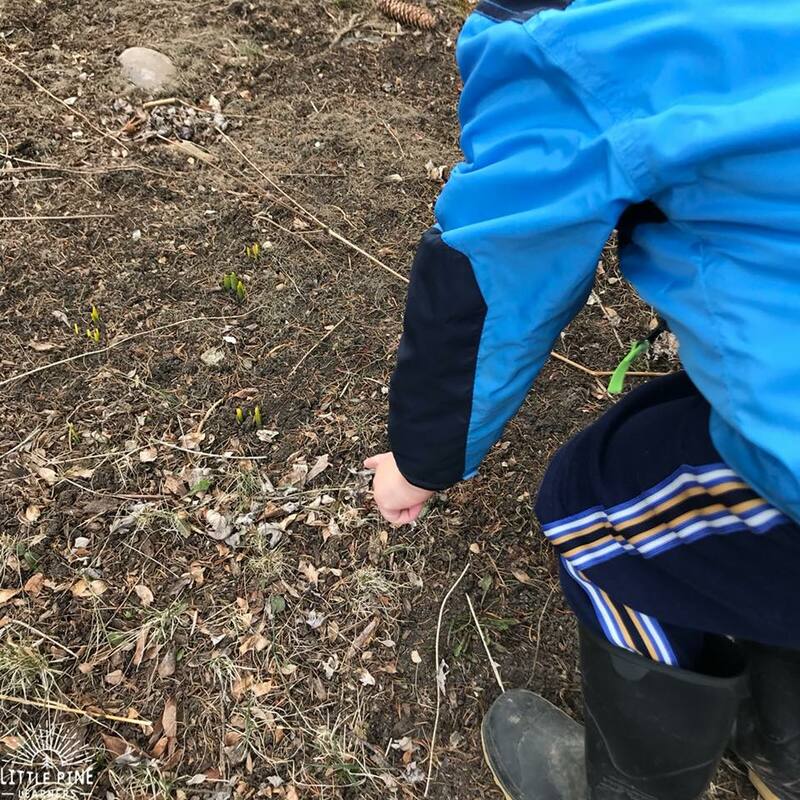 We headed outdoors and searched high and low for signs of spring. My four year old saw sprouts and was so excited because this is a word in our spring words scavenger hunt activity! He loved making this real world connection. 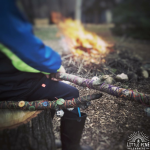 As we continued our search, my boys picked up pieces of nature to weave through their rubber bands. 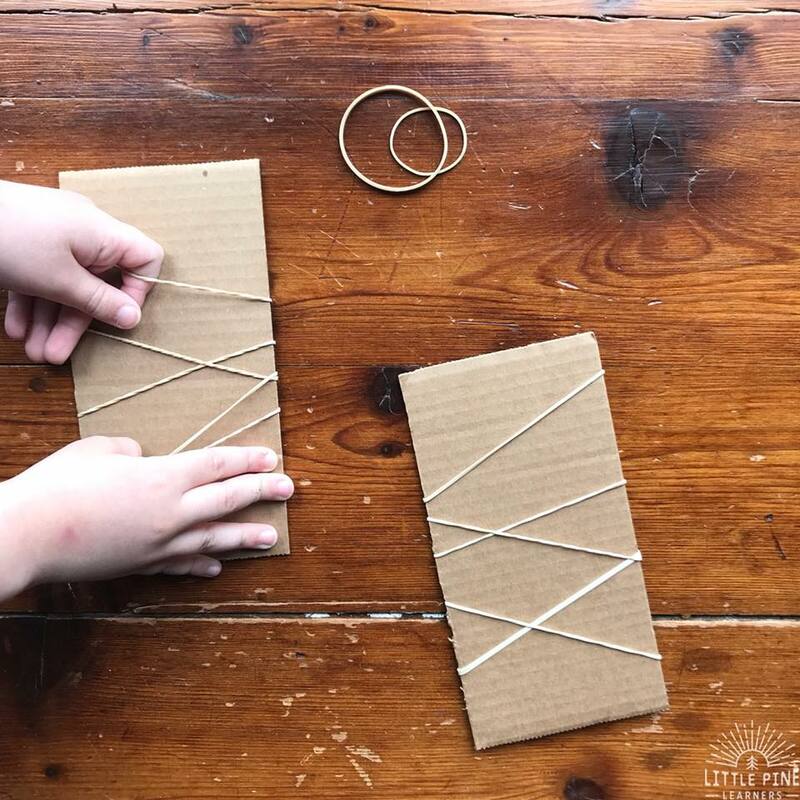 They experimented with the different objects and realized some of them didn’t weave very well, so they decided not to include them in their crafts. We tried to identify as many objects as we could and took pictures of the pieces of nature we couldn’t identify for further research. Once finished, we looked over their works of art one more time and displayed them in our home. Over the next couple of days, we visited our collages and discussed what we liked most about each piece of nature. 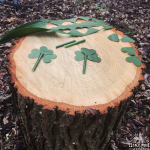 Don’t have access to collectable nature near you? No problem! You can still try this activity with flowers from a seasonal bouquet. Enjoy the bouquet in your home for a while and weave the flowers instead of throwing them away. My boys helped me cut the flowers and they got busy creating their masterpieces. We identified as many spring flowers we could in the bouquet. As you can see, the final product is beautiful!